Before I share about the treatment, let me share about the short clinic tour to all of you! And let's move on to the second floor~! This is the aesthetic surgery room for any surgical procedures such as rhinoplasty, blepharoplasty, ultra selective body contouring, etc. My mirror selca with almost-bare face and messy hair haha I look so different and ugly, eh?? This is why if you are accidentally meet me in real life for the first time when I wear glasses and without makeup, I am sure you would not believe that this is the 'real' me lol. And oh.. just for your information, all of us got the same eye treatment, called Eye Revitalizing Peel. And this is an ideal eye treatment for those who have problems around the eyes such as dark circles, wrinkles and dry skin. Oh by the way, this picture below is belong to Miracle Aesthetic Clinic. Then the doctor applied peeling gel around the eye area and it stung a little bit, but it was okay la and I could hold it haha.. but please note that it depends on your skin, so you may have a different reaction. Glory, me, Jennie (corporate marketing), and Yennyca. Well.. if you are curious about the result, here is the before-after pictures! I noticed that the dark circles under my eyes were slightly fading away and my eye area feels soft and supple. 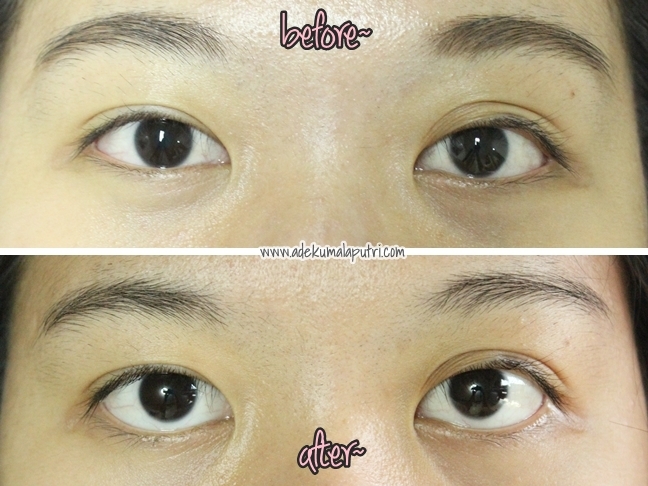 And they also gave us a product which helps to get the maximum result.. TDF Eye Radiance Serum (Age Defense System). I have just started to use this product since yesterday because of my peeling recovery, and I will post about the full review about this product next month to see if it works on me or not, so please stay tuned! I must be crazy (or just really tired) but I don't really notice that much of a difference. Definitely seems like a relaxing experience overall, though! 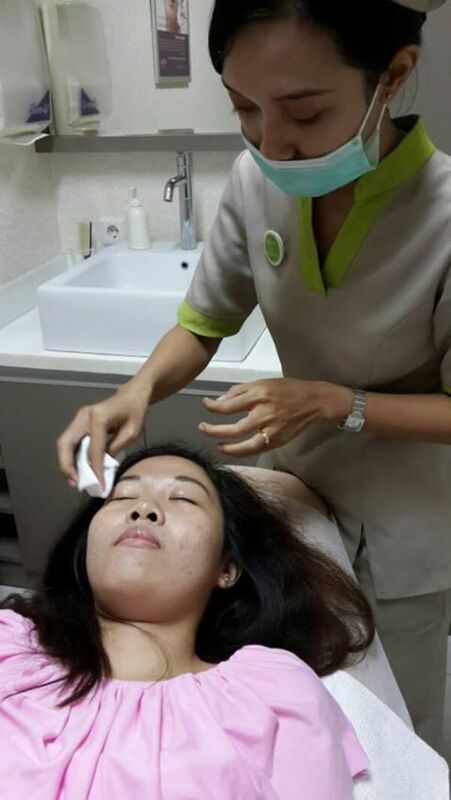 Klinik kecantikan Miracle bersih banget. Trus alat-alatnya juga canggih..
Dikotaku belom ada klinik ini.. Mudahan suatu hari Miracle berdiri dikotaku. Ensure your cat regularly and properly. Cats have regular basis.This will keep their precious coat clean. It also limit shedding and can cut down on hairballs.